Did you know that I can save you 17% on your AT&T wireless bill? How about 20% off of Sprint or 16% from Verizon? Well, it’s not really me…. AT&T Wireless – 17% off on wireless rate plans, including the iPhone, and upto 45% off on voice/data equipment. Foundation account number is 75862 (this is the number you need to give the AT&T guy. SPRINT – Besides Sprint’s 20% off and Nextel’s 15% off your monthly rate plan – recieve flat rate pricing off eligible devices like the TREO 755P or BlackBerry 8703e. Verizon – 16% off monthly voice access plans and 25% off eligible accessories. Click Here to sign up for the discounts. Just trying to help out in being smarter with how we do business. 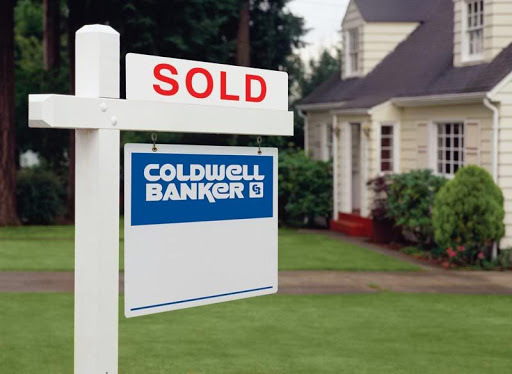 Did you know that you can have a profile page on ColdwellBanker.com? Yep, that’s right. For right now, Coldwell Banker has opened up their profile pages through CBWorks so our agents can create profile pages. Pretty nice of them, I’d say. Here’s what you do. Go to http://cbworks.coldwellbanker.com/ and login. If you don’t know what your login is, then you follow these steps. On the CBWorks login page, it will say “First Time Users, Click here for Access”. CLICK THERE. It will ask you for your email address. This will be your company email address. The CBWorks system will then email you your password for the system. Follow the steps in the email to get logged in to the system. There are some requirements that you have to have in your profile in order for it to show up. (1) You must click on “Media” and upload your photo. (2) You must have 4 bullet points combined about you in “General”, “Credentials”, or “Qualifications” area. The rest you can put in what you want. If there is any information that is wrong that you can’t change, send Linda Morrison an email at lmorrison@cbtulsa.com (She’s going to love me for that one). When I think about the things that I am REALLY good at, a few things come to mind. Of course, I am the only one that thinks I am really good at some of those things (well maybe I have my wife convinced on a few of them). For example, I used to be a snow ski racer in middle school and high school. When I talk to someone about skiing and they interkect their opinion, I listen intently to see if what they say makes sense. I also try to get some sort of “qualifier” from them about their level of experience. You see, I still learn a lot about skiing from people who are REALLY good at it, but no so much from those that aren’t. Pretty simple concept huh? So, who knows more about selling your listings? The Seller? Their Friends and/or Family? OR YOU, their Professional REALTOR? That’s right, it’s YOU! You know what is going on in the market (we help with that one), what tools are available and that work, who and where to market properties and what to say and do to properly market a property. Coldwell Banker Select helps with a lot of this with the best tools and marketing in the business, but it is still up to YOU to absorb the information about the market that we share, learn something everyday about how to better yourself and skills, implement the tools that are available to you, and execute your plan for marketing your listings. One of the cool things you can do is record your own message on our HomeFacts system for each of your properties. This is not only a place to give out some basic information about your listing, but have you thought about promoting yourself, your website (possibly your Mobile site – see previous post), your other listings that may be similar, etc… Get creative with it. When someone calls, you have a “Captured” audience (literally). Get your message across and give them some sort of action item. If you come up with a great message, send me an email at bsheppard@cbtulsa.com with the HomeFacts number so I can check it out. Who knows, I may even go to your website, if you promote it. Mobile Websites just for YOU! Did you know that when you subscribe to HomeFacts you get a personalized website that has a full MLS search? 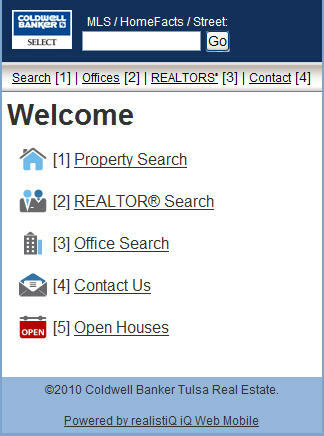 Did you know that every listing that is pulled up on your website shows YOU as the contact agent? That’s right, it looks like you have 6,659 listings that are ALL YOURS! Even cooler than that is the Mobile website that you get. It’s the same website address, for me it’s http://bsheppard.cbtulsa.com/. Yours will be different, but if you type this in the address bar of your computer, it will pull up your personalized website. If you type this in the address bar of your smartphone, it will automatically pull up your Mobile website. Try it, it’s pretty cool. Your Mobile site allows you or anyone to pull up a property by entering in the MLS#, HomeFacts #, or even the street address and it will pull up that property. This works great if you are out showing properties and drive by a home for sale that wasn’t on your list. You can pull it up by typing in the property address and look and all the information and photos. If you really want to maximize your Mobile site, then give the site address to your buyers and they can drive around and look up homes they like by the address and get all the information, even photos, without calling another company’s listing agent. Now that’s REALLY cool. If you don’t subscribe to HomeFacts and want to be able to use a Mobile site, go to http://www.cbtulsa.com/ on your phone and give that a whirl. Once you’re hooked, it’s addictive. Side Note: I use the http://www.cbtulsa.com/ mobile site to look up the contact information for another agent in our company. My iPhone allows me to pull up the person quickly, tap on their phone number and PRESTO, I get to talk to them.